Today, it’s been six years. Six years are a long time. The only other six-year comparison I have is my first favourite tv series: two universities, two cities, and Lost. I always say that Lost was my longest commitment. People laugh at that, because six years is such a long time. And today, it’s been six years. 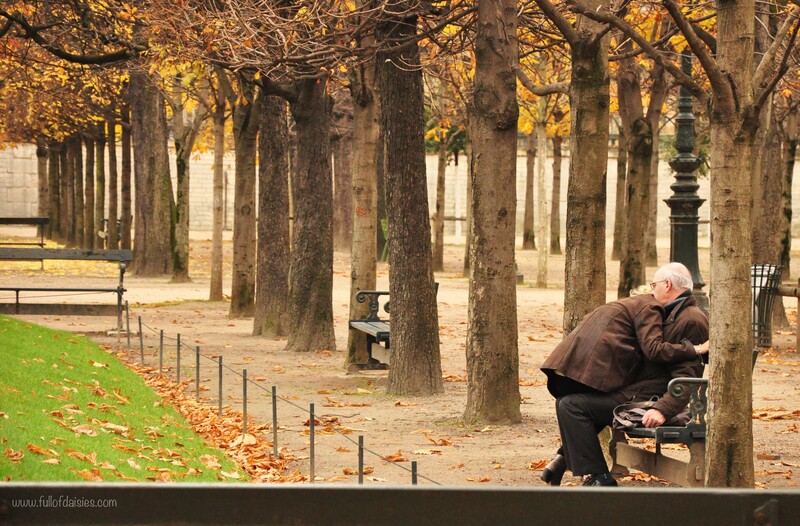 When it will have been sixty, I’ll be ninety-one and I want to be on a bench in Paris in Autumn, like this couple. ← Treasures, not mine this time.